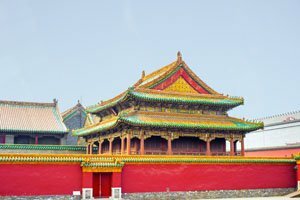 The Forbidden City was the imperial palace of the Ming Dynasty and the Qing Dynasty. 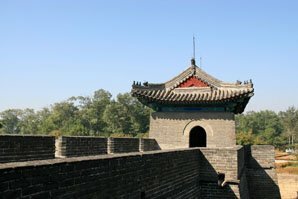 In 1625, Nurhaci conquered the Ming city of Shenyang and made it the Manchurian capital. The Ming cities gave his empire a greater base of population, and the Manchu empire absorbed them. 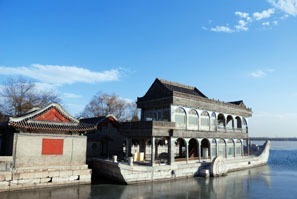 You can still see the early Manchu rulers&apos; Shenyang Imperial Palace today. Nurhaci&apos;s successor was his son, who was named Hong Taiji. He continued the attack on the Ming Empire, strengthening his artillery with European technology, and Ming-technician-cast cannon. He created his own artillery corps in 1634. 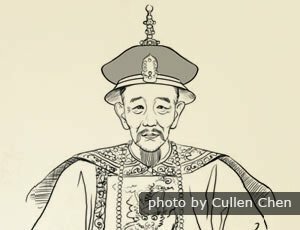 In October 30, 1644, about 5 months after the Qing army occupied the capital, Hong Taiji&apos;s son Fulin became the Emperor Shunzhi, and he announced the new dynasty was founded. Dorgon said, "Keep your hair, lose your head; keep your head, cut your hair." Tens of thousands who resisted were massacred. But opinions about the queue did change over time. After 286 years people had accepted it, and when the Qing Dynasty collapsed in 1912 many people refused the new government&apos;s call to cut their queue! 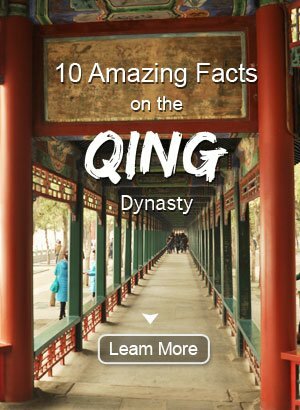 The reigns of emperors Kangxi and Qianlong was the richest period in the all Chinese feudal dynasties. It is well-known in China as the "Kang-Qian flourishing age". After Emperor Shunzhi&apos;s death, Emperor Kangxi (1654–1722) became the ruler. He had one of the longest reigns in dynastic history. Like Kublai Khan at the beginning of the Yuan Dynasty, and Zhu Yuanzhang in the beginning of the Ming Dynasty, during his 61-year rule he set the policy direction for the empire and stabilized it. 1. The Chinese ruling class believed that China was the greatest empire — the ‘Middle Kingdom&apos; — and scorned outsiders. 2. The Manchu rulers didn&apos;t want the Han in coastal areas to grow stronger through trade with foreigners. 3. The Qing government was angered by foreign ambassadors&apos; "impoliteness" — the ambassadors refused to kneel to the ruling class. Emperor Kangxi had a lot of sons by different women, but Emperor Yongzheng (1668–1735) the fourth prince was named as successor in his will. Less well known than his father and son, he continued the Qing&apos;s prosperous period with efficiency. 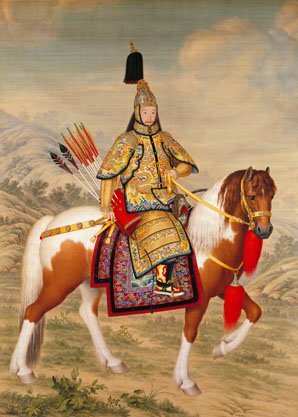 Emperor Yongzheng&apos;s son was named Emperor Qianlong (1711–1799). 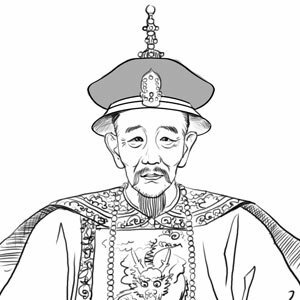 He officially reigned for 61 years as Kangxi did. But he actually reigned till his death in 1799. His court was successful early in his reign, but he later his greed set the empire on an unfavorable course. 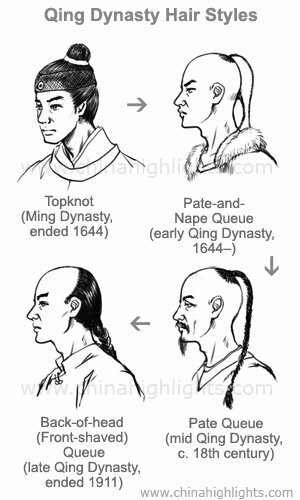 Qianlong&apos;s reign was the most prosperous in the Qing Dynasty, and the population grew quickly to about 300 million. 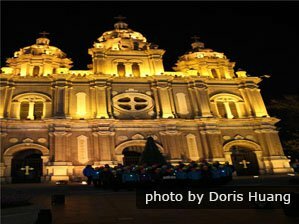 However foreign trade was restricted to only Guangzhou (Canton) at one point. The empire grew larger, as they subdued Tibet and the Xinjiang regions, inheriting Mongolia from the dynasties founders, and wiping out the Dzungars (a large Mongolian tribe of hundreds of thousands). The land area of the Qing empire was second only to the Yuan Empire&apos;s in size. The Qing era&apos;s main literary accomplishments were extremely large encyclopedias and compendiums of literature comprised of hundreds of volumes and popular novels. Empress Dowager Cixi&apos;s son (Emperor Tongzhi) "reigned" from 1862 to 1874, and her nephew (Emperor Guangxu) "ruled" from 1875 to 1908. But it is said that she was the real ruler during this long and crucial period of time. The Empress Dowager (1835–1908) started to rule after British and French troops attacked Beijing and destroyed the Summer Palace in 1860. It&apos;s said that Emperor Xianfeng then fell into a depression, and as a result died in 1861, making Cixi (his concubine and son&apos;s mother) an empress dowager to help his son rule. Big floods helped to weaken the Qing dynasty. One of the world&apos;s biggest natural disasters was the Yellow River flood of 1887. It is thought that between 1 to 2 million people died. By 1900 it&apos;s said imports were worth four times more than exports, in sharp contrast to the Qing Golden Era when Chinese products were highly valued worldwide. The Origin of "China&apos;s Harvard"
The US sent a detachment of troops in the war against the Boxers, and the Qing court was forced to pay war reparations to the US. 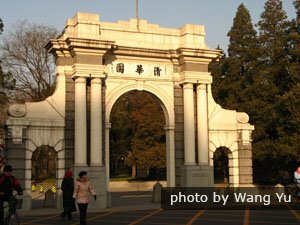 The US used these funds to build Tsinghua University, now China&apos;s top-ranking institution. In 1908, when Cixi and the emperor suddenly died, Puyi became "the last emperor" — 2-year-old Emperor Xuantong. 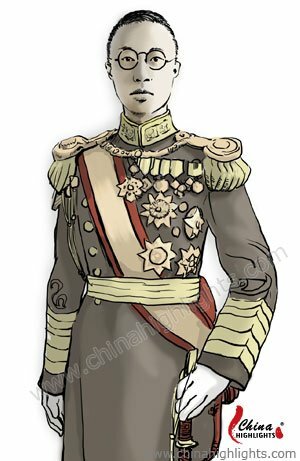 The empire&apos;s official ruler was a prince regent Zaifeng, Puyi&apos;s father. 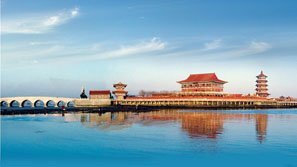 There are many other Beijing tours available to suit a variety of interests, time frames, and budgets. If you can&apos;t see exactly what you want, you can customize a tour or use our tailor-made service.